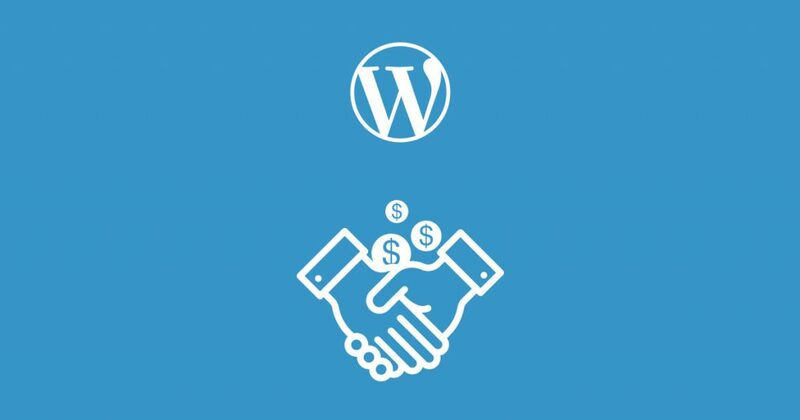 In the previous article "Top 5 plugins to make money by your WordPress site" there was a little reference to affiliate marketing and its advantages. However, this great and popular type of earning money has more opportunities than it seems at first glance. To enlarge your conceptions about this field, it is important to mention that affiliate marketing offers two different ways for websites to benefit. Be a merchant or affiliate, it is just a matter of choice! In the case when you are a merchant, surely your main goal is the sale of your products (doesn't matter which kind of), it can be everything from things to services. As a general merchant, you acquire key-partner websites who can distribute and advertise your products. So, you will sell your products and partners will gain money from each purchase. It is a win-win situation! The most successful example of affiliate marketing project is the well-known internet shop Amazon.com. Its affiliate program calls Amazon Associates and is founded in 1996. This program refers to the type of PPS programs (Pay Per Sale). That's mean each affiliate will gain its percentage per sale. The percentage is approximately 15% of total sales. Consequently,the more you have sale, the more you have profit! If you are a WordPress user, congratulations, cause you are already lucky. You know, WordPress has plugins for all occasions. Of course, the affiliate marketing is not exclusion. If you search, you can find a list of useful plugins for this. As an advice, you can try Ultimate Affiliate Pro. The plugin allows solving a wide range of tasks from launching a partner campaign to creation and editing of affiliate banners and links. Ultimate Affiliate Pro will be the right tool for this kind of work. But if you want to reach the luck of Amazon, don't forget about such things as an image, features, simple usage and product's quality of your WordPress website. As an affiliate website, you are interested in an effective agreement with your merchant. Let's mention that there are some types of the earning money by affiliate marketing. You have already known about PPS (the example of Amazon Associate). Other ones are Pay Per Click by which you will earn due to a click of a buyer and Pay Per Lead by which your will have fixed commissions for certain actions. An affiliate website will be the bridge between the merchant and expected buyers. Because you benefit for each purchase, you have to work to successfully represent products to the target audience. WordPress users have a large number of "helpers". For example, as an ad management plugin, Aparg SmartAd is indispensable. The process of usage is really easy. When you have registered as partner website, you will gain a shortcode to insert the ads of products in your WordPress sites. Aparg SmartAd offers two types to make cool and attractive ad campaign. You can place the shortcode to embed or popup ad campaign. Each of them is full of great options, design tools and animation types. However, it is not a complete list of this WordPress plugin's pluses. Aparg SmartAd has a well-arranged stats part, the well controlled system of the audience targeting and many more options. This kind of professional help will definitely guarantee the success. In any case, you will only benefit from these "contracts". Don't delay, just try!